Robert Jappie and Chris Lane provide an insight into some of the legal considerations around the burgeoning cannabis industry and Mackrell Turner Garrett’s role at the heart of cannabis law. Following pioneering campaigns from families of patients and doctors, there has been a significant change to UK legislation in regard to cannabis. As of 1 November 2018, the UK government has legalised medical cannabis for a number of health conditions. 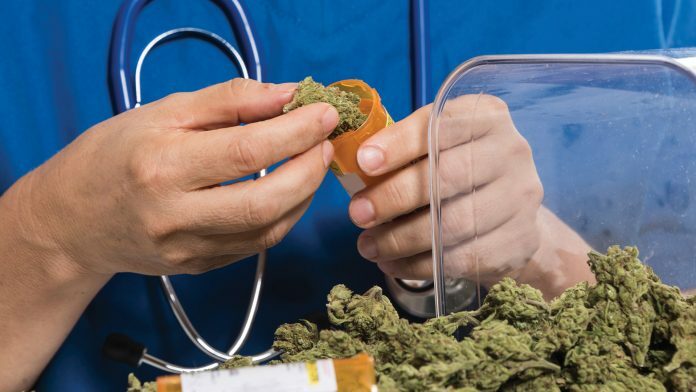 This has created a significant new marketplace for cannabis in the UK, which pharmaceutical businesses from the UK and overseas are taking notice of. But as with any industry, these businesses need the support of an experienced legal team as they face a quickly evolving, complex set of regulatory and commercial challenges. Mackrell Turner Garrett is at the heart of this revolutionary change and is able to provide advice and support to the growing number of companies looking to enter this sector. As with any emerging market, investors and businesses prioritise credibility and connectivity above value, which is why our pool of global expertise puts Mackrell Turner Garrett ahead of the curve as the commercial market evolves in the UK. The bank of knowledge that we can access is without comparison, thanks to our ability to call on the experience of legal professionals working in the cannabis sector in places like the United States and Canada. 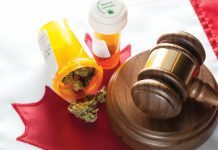 Through our position as a founding member of the Mackrell International (MI) global legal network – a top 20 global group of lawyers with nearly 5,000 members in over 60 countries – we have unique access to legal expertise from many jurisdictions where cannabis has already been successfully legalised. MI can draw on specific detailed experience from, for example, Colorado and Nevada, where MI members are some of the leading advisors on current cannabis laws and commercialisation in the US. Working alongside these members are fellow MI lawyers in, for example, Canada, who are currently closely monitoring the implementation of the new legislation and the progress of legalisation in the country. Our ability to quickly call on international expertise ensures that businesses can rely upon tried, tested and credible advice, tailored to each business’ unique requirements – something that few other UK law firms can match. With attitudes to cannabis changing around the world, the future may hold many more opportunities for UK businesses. The Cannabis Law Department, the leading one of its kind in the UK, is headed up by Robert Jappie, a well-respected legal expert within the UK’s fast-growing cannabis industries. He has advised a number of UK businesses operating in the sector and also provides advice to overseas companies and investors looking to break into the UK market. From his previous work at Release and his close connections within the UK legal world, Jappie has a unique insight into the complexities of UK drug policy and law. 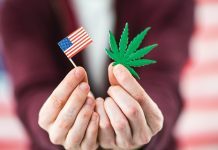 In recent months, Jappie has represented the Cannabis Trades Association UK (CTA) at the European Commission, toured Nevada and Colorado to investigate the cannabis industry in the US, been quoted in a number of major media publications, and appeared on national radio to discuss cannabis regulation in the UK. Together with a leading food and trading standards barrister, Mackrell Turner Garrett has been instructed by the CTA to challenge a controversial change to the classification of food products containing cannabidiol (CBD) recently introduced by European regulators. Jappie and Jonathan Kirk QC, of Gough Square Chambers, travelled to Brussels on 12 March 2019 to make representations to the European Food Safety Authority (EFSA) in respect of the recent decision to reclassify hemp extracts as ‘novel’. Under the Novel Food Regulations ((EU) 2015/2283) any product deemed as ‘novel’ must gain authorisation from EFSA before it can be sold as a foodstuff within the EU. A foodstuff can be considered ‘novel’ if it was not consumed by humans to any significant degree prior to May 1997. These regulations apply to food supplements, ingredients and substances intended to be incorporated into food. In the case of CBD, this includes extracts, oils and other derived products that are intended for ingestion by humans. Although EFSA’s Novel Food Catalogue is advisory only, it is relied upon by domestic regulators such as the Food Standards Agency in the UK to protect consumers. 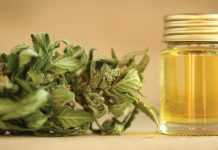 In light of this change to the Novel Food Catalogue, the Food Standards Agency could seek to have CBD products removed from shelves if a decision to enforce the new classification is taken. The CTA has grown considerably since its creation in 2016 and now has more than 700 members in the UK who produce a wide range of legal CBD products. The CTA’s decision to instruct Jappie, one of the UK’s leading cannabis law experts, and Kirk, a specialist in EU food regulation, to challenge this decision at the European Commission in Brussels is a clear indication of the concern that the industry holds about the future of the industry and the high regard that the Mackrell Turner Garrett Cannabis Law team is held in. Jappie and Chris Lane (head of business development) were recently interviewed about the success of the Cannabis Law Department venture. Here’s what they had to say. Tell me about your Cannabis Law Department please. Jappie: We set up the department in August last year, and we joined the best known trade body here in the UK, the CTA. We are currently acting for a number of UK companies that are doing well in the CBD industry here. The CBD industry here is going really well and growing bigger. We have started to build lots of contacts and connections within the CBD industry, and we are advising businesses on what they can and can’t do. We are also receiving a number of inquiries from overseas companies who are looking at the UK and Europe as the next big growth market. So, it’s been a really interesting time for us. You were the first law firm in the UK to join the CTA. Is that correct? Jappie: Yes, I believe so. They were using another law firm for their own legal advice, I think, but they were quite glad to meet us, because we took a very sector-specific approach, and we’re committed to setting up a cannabis law department, rather than tacking it on to the end of another department. So, over the last six months, we’ve developed a good relationship with them. Not only have they been happy to refer their members to us when they need legal advice, they are also using us to seek their own legal advice. As well as representing their members, they are also providing guidance to them on best practices, and we are assisting them with that guidance. It’s actually a real opportunity for us to help the industry shape the law, and develop the law in that sector to help businesses and to help entrepreneurs. Are they focused solely on the CBD industry? Jappie: Yes, they are actually completely focused on this CBD industry. In the UK, we’re quite a few years behind the US in terms of the products that are available to the public. Only in November of last year did the government authorise doctors in the UK to be able to prescribe cannabis medication to patients for a limited number of conditions. Although, technically it is legal for THC medications to be made available to the UK public, in practice, the rollout is going to be very limited because the doctors here aren’t trained on the medications available. They’re not trained on the dosages, so I think it’ll be two or three years before we actually see cannabis medication made available to patients here in the UK. Do you see that changing over the next two to three years? 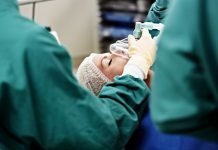 Do you think it will take that amount of time for doctors to be trained and for the rollout? Jappie: Yes, I think it’s inevitable, to be honest. You have patients in the US, in Canada, in Israel, in Australia, in all these Western countries that have access to cannabis medication that has been shown to be extremely beneficial for their health conditions. And you have patients in the UK with exactly the same health conditions, who don’t have access to this medication, and that’s not right for a developed country to limit the medications available to patients. It doesn’t make sense. So, yes, I fully expect in the next couple of years, there’ll be more training made available to doctors, there’ll be more medications available for patients, and in the next two or three years, you will see a very successful medical cannabis industry here in the UK. Can you tell me more about your experiences during your trip to the United States? Jappie: It was an amazing trip, and we felt very fortunate to be there. We had some wonderful hosts, Severin (‘Sev’) Carlson, a partner with Kaempfer Crowell in Nevada, and Evan Husney from Foster Graham in Colorado, the two MI firms. We were also delighted to meet up with Jim Marty from Bridge West, and he hosted a wonderful cannabis networking event one evening in Denver. This sort of shows the reach of the MI network in that we had first-hand experience and guidance from lawyers who’d been acting in the sector for a number of years, and the amount of knowledge that we gained from being there was unbelievable. It even exceeded our expectations. So, to be able to bring that back to the UK, bring that knowledge back, I think that gives us such a huge advantage over any other lawyers that may be acting in this sector at the moment. Do you think there’ll be another trip in the future? Jappie: I hope so. What interested me is I thought we’d come to the US and see you were maybe two or three years behind. I actually feel we’re probably about six, seven, eight years behind, which is exciting for us, because there’s still a long way for this industry to develop here. But it’s been a steep learning process for us in the last six months, and there’s still so much more for us to learn ourselves. So, yes, we will definitely plan to visit again, and we couldn’t ask for better guides than Sev and Evan and the guys at the MI firms. Do you feel that there is an opportunity for the US firms to travel to the UK and perhaps meet with your members and colleagues? Jappie: Absolutely, I think it seems that this is something we are already discussing over here. There is a great opportunity between the MI firms to share the knowledge that has been gained so far. We have other firms we know of in the Mackrell International network that want to do cannabis work. Being able to share this knowledge is great for the entire network. I know Jim, in particular, will be very happy to hear that. He’s been speaking very highly of your visit, and he would definitely welcome an opportunity to come to the UK. Jappie: You know what, then, I actually spoke to him about whether they had any other accountancy firms in the MI network that were interested in cannabis work, because whilst we are doing the law bit, what was also a bit of an eye opener in the US was how essential the accountants are to the cannabis industry in terms of the money being made, in terms of the taxes that are being imposed. As far as we’re aware, we’ve not seen any accountancy firms or at least very limited amounts who are interested in the sector over here, so I certainly think for MI, there is an opportunity to share Jim’s knowledge and experiences with other accountants in the network. I couldn’t agree with you more, and what’s exciting is that Jim, as I’m sure you’ve heard, started his firm and, since 2009, they’ve only focused on the cannabis and hemp industries. Bridge West has over 250 clients, licence holders throughout the US. It must have been a really interesting trip. Jappie: It was mind-blowing. It was just brilliant to be able to actually go to the grow facilities, to the manufacturing facilities, to the dispensary, and meet the business people who got into this industry right at the beginning. They had grown their businesses over the last six, seven, eight years. We were really impressed with the level of professionalism that was involved. We were impressed at the scale of the businesses. But we also realised that even now, once the industry is established there, they still have regular legal problems, in terms of licensing, in terms of changes in regulations, in terms of new tax laws, and that sort of thing. You’re right. The level of professionalism really is fantastic to see. I attended the MJ Biz conference in Las Vegas this past November. Jappie: How was that? We heard about that, sounds really exciting. It was unbelievable. There were 27,000 people in attendance, and Bridge West exhibited, and there were 1,000 exhibitors. If you walked from one end of the expo conference hall to another, it was apparently three miles. Lane: It sounds amazing. We will be there next year for sure. I was very impressed with all of the presentations, and they had different tracks, so they had finance and accounting and legal topics. 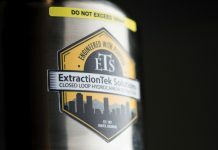 They had a lot of topics for different segments, the growers, extractors, dispensaries, in terms of profitability, in terms of pricing, evaluations, inventory costs – every topic. What was very interesting, too, were the marketing and social media topics, and it was three days of solid presentations, networking. It really was a great experience, and I look forward to attending again this coming year, and perhaps we can even talk about opportunities for MI firms to present – to speak. There were a number of law firms exhibiting and speaking at the conference. Lane: Well, we are definitely planning to attend next year and it will be a good excuse to come back and see everybody. We’re very keen on that. Just out of interest, what sort of representation was there from not only the UK, but from Europe at the conference? Was there anything that was obvious from over here? The UK and Europe were represented but not one particular spot as far as I could tell. However, I can take a look at the exhibits and go back to the segments and see if I can cherry pick a few to point out to you. I know that just even in terms of travel, there was a heavy representation from Canada, and they actually had some trouble coming through to the US. Apparently, customs disallowed some marketing materials to be shipped in. Jappie: We were specifically told not to mention we were coming to visit cannabis facilities when we were entering the US. We kept that to ourselves. Just to take a quick step back for a second, can you please tell me why it’s so important from the outset for cannabis and hemp businesses to retain attorneys and accountants who specialise in these industries? Jappie: Yes, because, particularly in the UK and Europe, the sector is very new, it’s in its infancy. All of the trappings of business, which we take for granted, so banking services, payment services, tax advice, all of these kinds of things, the providers either aren’t aware of the sector, or they don’t have an appetite for it. There is still a level of risk considered to be involved in the industry. Having a lawyer onboard from the outset can really give your business that sort of legitimacy and reputational boost that will mean that banks and service providers and transaction providers are willing to deal with you and to invest their time and effort into your business. That’s what we are trying to do. We are trying to provide legal advice to new businesses, established businesses, so that they know exactly what they can and can’t do, because everybody wants to stay on the right side of the law. The other area where it’s useful is in terms of overseas businesses looking to establish themselves in the UK market or the European market. Even in the last six months, we’ve developed a huge network of connections. As well as being able to provide the legal advice, we can also provide introductions to suppliers, importers, exporters, anything that an entrepreneur of a new business needs. So, we’re not just doing the legal advice; we’re also helping facilitate all business solutions that may be required. I understand that you are your clients’ partners and their trusted advisors. Jappie: We’ve got a couple of clients from overseas who’ve instructed us, effectively, to be their representatives here in the UK. We’d be giving them specific advice on legal issues, but we’re also here to facilitate the necessary introductions they need in relation to the sector. Can you tell me about the top legal issues and challenges facing your clients, whether it be a start-up or an established business? Jappie: Obtaining business banking services has been an issue. A number of banks that we have connections with have told us that they don’t have an appetite for the sector, because it is new. So, that’s something we are working on. We want to try and find partners in that industry that are willing to enter the market and provide banking services for legitimate businesses in this area. 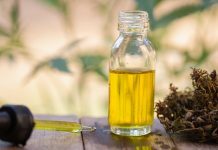 The other issue we have is that we are subject to EU regulations, and the European agencies seem to be changing their position on CBD products quite regularly, so this is causing some anxiety for businesses here in the UK. We are actually engaging currently with the CTA in the hope that we can mount a challenge to the new changes in EU law, in order to bring some stability and clarity to the industry as a whole. One of the presenters at MJ Biz Conference said it’s like flying the plane as the equipment is changing while you’re in the air. Jappie: Yeah, absolutely, because we suddenly set up your business to be compliant in one way and then you realise you’re not compliant anymore, because everything’s changed around. So, it’s frustrating for people, but that’s a new business, that’s a new industry. That’s how it’s going to be for a little while. Do you see consolidation in the industry accelerating over the next few years? Lane: Absolutely. I think the Cannabis industry is growing massively, as we speak. What’s interesting is that there is such a range of products available, and new ones becoming available all the time. What’s great for businesses in that sector is that the level of knowledge amongst the public, I think, is limited. So, not only is it a case of building a business and getting these products out there, it’s also about educating the public on what these products can do. The potential for growth in that respect is absolutely massive. We speak to so many people who never even heard of CBD products, didn’t know that there was any type of legal cannabis industry here in the UK, and the applications of the CBD products are so wide that I think the market is going to grow and grow. You’re right. The science behind it and the research is really tremendous. Jappie: Yes, and this will give consumers more confidence to try the products. Do you have any insights or feedback about predictions for the coming years into the future? Jappie: I’m quite optimistic, so my view is you’ll see the rollout of medicinal cannabis in the next two to three years. We should be having an election here in 2022. I am hopeful that, by that point, recreational cannabis will be an election issue. I think that might be on the table. That would definitely be something being discussed in five years. time, I hope. In terms of the UK versus the USA versus Canada, do you feel that we’ll catch up with each other? Lane: The UK is at risk of getting left behind. From an economic standpoint, the argument is a no-brainer. I think everyone will be watching Canada to see how things go there. If they have a successful, legitimate industry there, then I can’t see why Britain wouldn’t want to follow suit. Do you have relationships with firms in Canada as well? Jappie: We have MI firms in Canada. We also have been instructed by a number of Canadian companies who are now looking to expand their operations to the UK. I think Canada provides an example of how to prepare, arrange, and implement a recreational legal cannabis model. And what they did over there wasn’t done in a slap-dash way. It involved years and years of planning and discussions on how to do it right. Do you have any thoughts about the special interest group for Mackrell International and MGI – I think we should call it Cannabis and Hemp Group – but do you have any thoughts or comments about the next steps for the future for that special interest group? Lane: I think the industry here in the UK is crying out for guidance. The more clarity, the lawyers, and law firms, and accountants can help bring to the sector, the better. So, I think it’s a case of focusing on business, focusing on the business solutions that they need, and doing everything we can to help provide a stable and competent marketplace for their product. Well, I’m very excited about the future, and I’m very happy to be a part of it with you. Is there anything you’d like to add or comment on before I let you gentlemen go? Lane: I think you may already know, but we did some filming whilst we were over on the trip to the USA, and that’s been turned into a video blog, as we speak. We will be posting it online very soon.